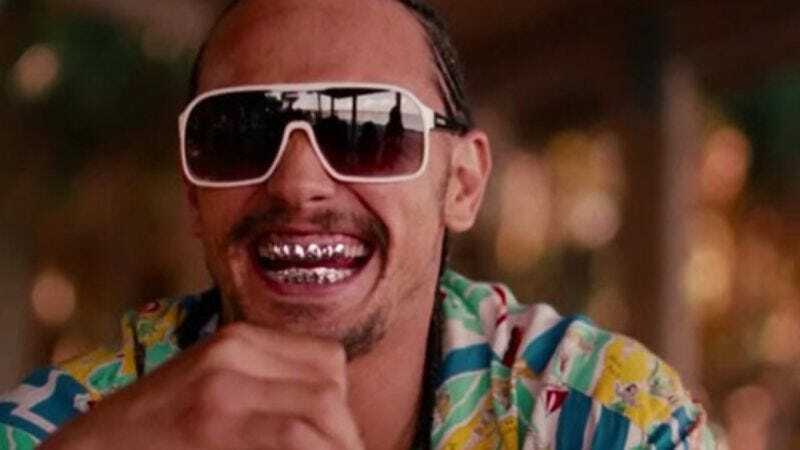 James Franco, doing his best Xenomorph impression in Spring Breakers. Transforming Ridley Scott’s latest Alien movie into the Your Highness reunion nobody knew they wanted, fan site AVP Galaxy is reporting that James Franco will be joining Danny McBride in the upcoming Alien: Covenant. Franco—who was originally in talks to show up on the other side of the AVP dichotomy, in Shane Black’s The Predator—will have a small role in the new film, playing the captain of a ship that is almost certainly doomed, because “being doomed” is just what happens to spaceships in the Alien universe. McBride has assured Alien fans that he’s not in the movie to provide comic relief; presumably, Franco will be giving a similarly straight-faced performance, at least for as long as he manages to last.